Vicar’s In Trouble burst onto the Kentucky Derby 2014 scene with a sharp, decisive, prominent throughout triumph in last Saturday’s Grade III Lecomte Stakes at Fair Grounds. Vicar’s In Trouble, a LA-bred son of Into Mischief, broke his maiden by many lengths in a local state bred sprint prior to the Lecomte. He settled into a nice pressing rhythm under Rosie Napravnik on Saturday, and with early-pressing types dominating on the main track all day, he figured to be tough to beat. He assumed the lead after six panels and widened throughout, crossing the line almost seven to the good and earning a 97 BSF. Albano held off Gold Hawk for the place, with early leader Roman Unbridled checking in a clear 4th. The top four held their positions throughout in a bit of a merry-go-round race. Vicar’s In Trouble is owned by Ken & Sarah Ramsey, and trained by Mike Maker. He is clearly fast and talented, and we will learn more when he faces better pace rivals in upcoming stakes assignments. He reminds me of another son of Into Mischief…Goldencents. As for the others, runner-up Albano had no excuses. He figured to be forwardly placed stretching out in distance but could not match strides with the impressive winner. 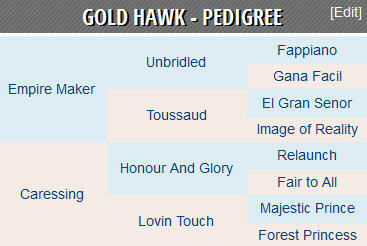 Beaten favorite Gold Hawk is still worth following and will remain on my list. The speed favoring oval and race shape were not to his liking, which is why he did not punch it in turning for home, and he only missed 2nd by a ½ length. He was also returning in three weeks and was hardly disgraced in a valuable learning experience. In the Smarty Jones Stakes at Oaklawn Park on Monday (Jan. 20), Tanzanite Cat outdueled Walt in the flat mile affair, with post time favorite Coastline checking in 3rd. The winning BSF came back 83. 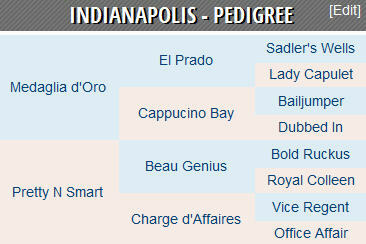 Indianapolis might be the most intriguing horse to win a stakes race during the 3-day holiday weekend. The Baffert trainee dusted three rivals in the San Pablo at six furlongs on Monday and garnered a 97 BSF. His promising route pedigree is featured below. Unknown Road flopped in an allowance route test at Fair Grounds on Jan. 24 and drops off the bottom of my list. He is replaced by Indianapolis. Later today, my 5th ranked Derby contender Cairo Prince makes his much anticipated sophomore debut in the G2 Holy Bull Stakes at Gulfstream Park. Coup de Grace, also one of my Derby players, drew the rail and looks like a serious threat as well. Cairo Prince exits a strange renewal of the G2 Remsen, and we should get a better gauge on that race after today’s Holy Bull. Today’s Grade II Holy Bull Stakes is my featured play of the day at HorseRacingNation.com. Breaking news from Gulfstream Park. Top Billing just swept past the field to win the 4th race in hand. The allowance route on the fast main track was contested at a mile and a sixteenth, and he completed his final 1/4 in :24.96. We will learn much more about Shug McGaughey’s promising late runner when he faces graded stakes foes next time. Schoolofhardrocks, one of my original exceptional eleven contenders, got back on the worktab on Jan. 22. He went 3f in :36 (4/17) at Santa Anita Park. He could be one to watch as the year unfolds. Latest Workout: 3f breeze in :38.10 (2/14) at Payson Park on Jan. 18. Comments: Made up more than 20-lengths in his career debut (Saratoga slop) to score by 4-1/2 lengths at 7f on 8-31 (89 BSF). He rallied to miss by a neck in the G1 Champagne on 10-5. McGaughey’s plan to skip the G1 BC Juvenile in favor of the G2 Remsen worked out well. He is expected to make his 3YO bow in the Fountain of Youth. Latest Workout: 5f in 1:00.40 (11/40) at Santa Anita Park on 1-3. Comments: Went wire-to-wire in his Saratoga debut on 8-23 and earned a 102 BSF. Put away Debt Ceiling and Grand Arrival early, and held off Honor Code by a nose in the G1 Champagne (93 BSF) at Belmont on 10-5. Stalked and pounced from post 13 in BC Juvenile but could not hold off New Year’s Day. He has resumed light training in Florida. Latest Workout: 5f in 1:00.60 (2/46) at Oaklawn Park on Jan. 20. Comments: Finished 5th in his 7-22 Saratoga bow. He graduated by 4-1/2 lengths at 6.5f at the Spa on 8-17 and cruised by 9-3/4 in the G1 Hopeful at 7f (mud, sealed) on 9-2 (85 BSF). He never got untracked in 7th place Champagne puzzler. He shot to the front from post 14 and finished an improved 3rd in the BC Juvenile. The Southwest Stakes is his first 2014 target. Latest Workout: 4f solo breeze in :48.40 (7/52) at Palm Meadows on Jan. 19. Comments: Won his first two races including the G2 Nashua. Just missed in a strange renewal of the Remsen and will make his next start in the G2 Holy Bull Stakes at Gulfstream Park on 1-25. Comments: Debut stalk and pounce tally at Churchill Downs Nov. 30. Found his best stride late in a good looking entry level route win at Fair Grounds 12-27. He finished a better than appears 3rd in the Lecomte and could easily move forward in the Risen Star. Latest Workout: 4f in :48.20 (2/51) at Fair Grounds on Jan. 20. Comments: Clearly second best to Havana in his 8-23 debut at the Spa and rolled by 5-1/4 lengths at 6f under the Twin Spires on 9-13. He never appeared comfortable on synthetic footing and was not persevered with in 11th place Breeders’ Futurity effort. Went wire-to-wire in his 6f allowance return at Fair Grounds on Jan. 11. Latest Workout: 4f in :47.40 (5/33) at Santa Anita on Jan. 21. Comments: Ran his record to 2-for-2 in a prominent throughout G3 Sham triumph. The blinkers off helped him relax but his mid was wondering in the lane. He has plenty of raw talent and should continue to develop mentally and physically. Trainer: John Sadler – Owner: Hronis Racing LLC. Comments: Finished 2nd in his first two sprint starts as the beaten favorite at Del Mar & Santa Anita. He stretched out at the Great Race Place on 10-31 and romped by almost 7-lengths after battling on the pace under Rafael Bejarano. He fought Midnight Hawk throughout in the G3 Sham and was clearly second best. Latest Workout: 4f bullet in :47.40 (1/52) at Palm Meadows on Jan. 19. Comments: Ran his record to 2-for-2 with a professional one mile allowance tally at Gulfstream Park on 12-15. The G2 Holy Bull Stakes at the Gulf on Jan. 25 is next, and he will break from the rail under Johnny V.
Comments: Smartly ran his sprint record to 2-for-2 in the San Pablo for Baffert. He could go next in the G2 San Vicente at 7f on Feb. 16. Bob Baffert’s $490k purchase Indianapolis ran his record to 2-for-2 in the San Pedro Stakes, and he should get stamina from his sire, Medaglia d’Oro (El Prado – Cappucino Bay, by Bailjumper). Medaglia d’Oro won 8 races and earned more than $5.7 million on the track. He captured 7 stakes races and a trio of grade 1’s (G1 Travers, G1 Whitney, G1 Donn). He also finished 2nd in the G1 Belmont, G1 Pacific Classic, G1 Dubai World Cup, and the G1 BC Classic in 2002 and 2003. As a sire, he is responsible for such runners as Rachel Alexandra, Marketing Mix, Plum Pretty, and Violence. Besides Medaglia d’Oro, El Prado (Sadler’s Wells) sired such performers as Artie Schiller, Asi Siempre, Borrego, Kitten’s Joy, Paddy O’Prado, and Winter Memories. On the female side, dam Pretty ‘n Smart (Beau Genius – Charge d’Affaires, by Vice Regent) won 2 of 7 starts and placed 3rd in the G2 Railbird and Manhattan Beach Stakes. Pretty ‘N Smart’s sire Beau Genius won or placed in 21 stakes races and earned more than $1 million. He was represented by 39 stakes winners including Belle Genius, Gentleman Beau, and My Creed. Indianapolis could stretch out successfully with stamina on top and speed on the bottom of his pedigree. I would not be surprised if he handled turf, if they opt to explore that avenue in the future. Midnight Hawk and Kristo, a pair of promising Kentucky Derby 2014 contenders based in Southern California, traded punches for much of Saturday’s Sham Stakes at Santa Anita Park. Midnight Hawk proved superior in the lane and picked up 10 Derby Points, and earned a solid 95 BSF. The Baffert trainee is now 2-for-2 but is still green and needs more experience. Kristo seemed a bit out of his element dueling on the inside and it was nice to see him fight hard to the bitter end. The Sham was his first start in three months and he should have gotten a ton out of Saturday’s race. Midnight Hawk replaces Purple Sky on my list, and Sham runner-up Kristo remains in the mix. It is tough to interpret compact Derby preps (Sham) and pace puzzlers (Remsen), but the most important things to look for at this stage are strong efforts, top connections, and long winded pedigrees. These early Derby hopefuls need to stay healthy while picking up Derby Points and gaining experience. We will learn more about many of these promising sophomores in the coming months. The featured Derby prep this week is the Grade III Lecomte Stakes from Fair Grounds. Gold Hawk, currently sitting at No. 6 on my list, is the 3-1 morning line favorite. He figures to be tough to beat if he gets enough pace help to set up his late charge. Comments: Cruised in his 10-19 Golden Gate debut and crushed four rivals in the G3 Hollywood Prevue on 11-10. He dominated the G1 CashCall Futurity (106 BSF) on 12-14, his first start around two turns. He missed a scheduled work on Jan. 12 due to a foot abscess. “I’m not going to work him until he’s perfect,” Hollendorfer said Friday morning. “We want to try and make the Lewis if we can, but if we don’t, it’s not going to bother me any. Latest Workout: 3f breeze in :39 (10/13) at Payson Park on 12-31. Comments: Went wire-to-wire in his Saratoga debut on 8-23 and earned a 102 BSF. 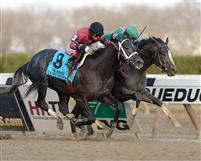 He battled through swift splits and held off Honor Code by a nose in the G1 Champagne (93 BSF) at Belmont on 10-5. Stalked and pounced from post 13 in BC Juvenile but could not hold off New Year’s Day. He has resumed light training in Florida. Latest Workout: 5f in 1:04.20 (22/94) at Oaklawn Park on 1-12. Comments: Finished 5th in his 7-22 Saratoga bow. He graduated by 4-1/2 lengths at 6.5f at the Spa on 8-17 and cruised by 9-3/4 in the G1 Hopeful at 7f (mud, sealed) on 9-2 (85 BSF). He never fired in 7th place Champagne puzzler. He shot to the front from post 14 and finished an improved 3rd in the BC Juvenile. Latest Workout: 5f bullet in :59.90 (1/29) at Palm Meadows on 1-12. That’s nearly identical back-to-back 5f bullets. Latest Workout: 4f in :49.80 (22/47) at Fair Grounds (slop) on 1-13. Comments: Debut stalk and pounce tally at Churchill Downs Nov. 30. Found his best stride late in a good looking entry level route win at Fair Grounds 12-27. The promising colt is entered in the G3 Lecomte at Fair Grounds on Jan. 18. Comments: Clearly second best to Havana in his 8-23 debut at the Spa and rolled by 5-1/4 lengths at 6f under the Twin Spires on 9-13. He never appeared comfortable on synthetic footing and was not persevered with in 11th place Breeders’ Futurity effort. Went wire-to-wire under Rosie Napravnik in his 6f allowance return at Fair Grounds on Jan. 11. Comments: Finished 2nd in his first two sprint starts as the beaten favorite at Del Mar & Santa Anita. He stretched out at the Great Race Place on 10-31 and romped by almost 7-lengths after battling on the pace under Rafael Bejarano. He battled Midnight Hawk throughout in the G3 Sham and was clearly second best. Latest Workout: Breezed 4f in :48.80 (19/59) at Fair Grounds on Jan. 17. Comments: Finished a good 2nd to Chad Brown’s Coup de Grace in his 6f Big A debut on Nov. 9. He torched six rivals at Fair Grounds (six furlongs) second time out on Dec. 19 and should get better as distances increase. Latest Workout: 5f in 1:00.75 (7/30) at Palm Meadows on 1-12. Comments: Ran his record to 2-for-2 with a professional one mile allowance tally at Gulfstream Park on 12-15. The Holy Bull Stakes might be next. Midnight’s Hawk’s sire Midnight Lute (Real Quiet – Candytuft, by Dehere) won the BC Sprint in 2007 and 2008 and was the Champion Sprinter in ’07. The promising young stallion’s leading runners include Queen’s Plate winner Midnight Aria, G1 Acorn winner Midnight Lucky, and G1 Malibu hero Shakin It Up. Midnight Lute’s sire Real Quiet (Quiet American) won the Kentucky Derby and Preakness in 1998 and just failed in his Triple Crown bid. The late sire’s leading runners include Grade 1 winners Pussycat Doll and Wonder Lady Ann L.
Real Quiet’s sire Quiet American (Fappiano) banked more than $750k and won the G1 NYRA Mile in 1990. The now pensioned sire was responsible for multiple stakes winners including 1997 Champion Older Female Hidden Lake, and Grade 1 winners Cara Rafaela, Seattle Smooth, and Switch. Midnight Hawk’s dam Miss Wineshine (Wolf Power – Miss Mississippi, by Cormorant) won the Silver Spur in 1999 and placed in the G3 Debutante, G2 Adirondack, and G1 Spinaway. Wolf Power was South African Horse of the Year in 1984. He sired 38 stakes winners including G1 hero Freedom Cry. 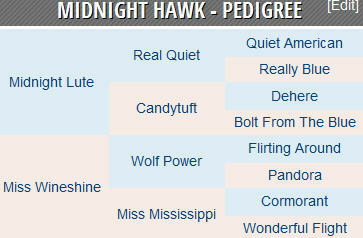 Midnight Hawk has more speed than stamina influences in his pedigree. He proved his two turn mettle in the G3 Sham and is lightly raced, undefeated, and on the improve. It was worth the wait. Revolutionary rumbled past Fallen Sky in a geared down 1/2 length tally at Gulfstream Park on Saturday, Jan. 11. Returning at a distance clearly shorter than his best off a 7+ month layoff and prepping for the G1 Donn ‘Cap, Revolutionary was comfortably ambling along and racing outside, about 4-lengths off the lead after a 1/4 mile. He crept a bit closer after a 1/2 in :46 and change and six panels in 1:09.84. He was just stretching his legs with two furlongs to go. I was not sure he was going to get there turning for home, but he looked every bit a winner once Castellano got after him in the lane. It was a perfect prep for the Donn and Pletcher and company should be very pleased with the WinStar Farm colt. He should relish the nine furlong distance next time. Hopefully, I will get to watch my Derby buddy race in Louisville later this year. I would like to see more attractive odds than the 1-5 offered on Saturday, but fair value might be hard to come by if he continues to win races with ease. The company will get saltier in the near future but the talented son of War Pass should be up to the challenge. He could be any kind of performer if he stays healthy and the Handicap Division just got a lot more interesting! Kentucky Derby 2014 Contenders: Is Kristo a Sham? Malibu Moon was responsible for last year’s Derby winner Orb, and his son Noble Moon earned valuable Kentucky Derby 2014 points in his victory in the Grade II Jerome Stakes at Aqueduct on Jan. 4. Noble Moon earned an 85 BSF at the Big A last Saturday and will need to run faster against better company next time. He did what he had to do and has now been competitive in all three career starts including his last pair in the graded ranks. More than anything else, he flattered Nashua winner Cairo Prince. Commissioner and Top Billing put on a nine furlong allowance show at the Gulf on Jan. 4. The former sat the right trip and owns a promising pedigree for Pletcher. The latter experienced a troubled journey and is currently Shug’s #2 on the depth chart behind Honor Code. The winning BSF came back 91. Both will have an opportunity to join my list when they take on salty stakes foes in the coming months. Three strikes and you’re out! I gave Nick Zito’s Grand Arrival every possible chance to remain on my list, but he gets the boot after flopping in the Gulfstream Park Derby on New Year’s Day. In the GP Derby, General a Rod edged Wildcat Red by a head, and the BSF came back a solid 92. We will learn more about them when they face graded foes in the G2 Holy Bull Stakes and beyond. The race of the week for the sophomore set in the Grade 3 Sham Stakes at Santa Anita Park on Saturday, Jan. 11. It looks like a showdown between Bob Baffert’s Midnight Hawk and John Sadler’s Kristo. Schoolofhardrocks has been MIA since scratching from the G1 FrontRunner Stakes at Santa Anita on Sept. 28. He won his lone lifetime start at Del Mar (one mile) on Aug. 31 and can rejoin my list if he makes it back in the near future. Misconnect also drop off the list. He has not been on the worktab since October. Purple Sky clings to the bottom and could get shoved off the cliff in the near future. He has disappointed in back-to-back allowance route tries including a 4th place finish behind Gold Hawk at Fair Grounds on 12-27. Comments: Cruised in his 10-19 Golden Gate debut (84 BSF) and crushed four rivals in the G3 Hollywood Prevue (99 BSF) on 11-10. The exciting gelding thoroughly dominated the G1 CashCall Futurity (106 BSF) on 12-14, his first start around two turns. He could make two, possibly three starts on the Derby trail at Santa Anita, culminating with the G1 SA Derby on April 5. Comments: Made up more than 20-lengths in his career debut (Saratoga slop) to score by 4-1/2 lengths at 7f on 8-31 (89 BSF). He rallied to miss by a neck in the G1 Champagne on 10-5. McGaughey’s plan to skip the G1 BC Juvenile in favor of the G2 Remsen worked out well. He will winter in Florida. Latest Workout: 4f in :49.60 (5/48) at Oaklawn Park on 1-2. Comments: Finished 5th in his 7-22 Saratoga bow. He graduated by 4-1/2 lengths at 6.5f at the Spa on 8-17 and cruised by 9-3/4 in the G1 Hopeful at 7f (mud, sealed) on 9-2 (85 BSF). He never got untracked in 7th place Champagne puzzler. He shot to the front from post 14 and finished an improved 3rd in the BC Juvenile. He is currently training at Oaklawn Park. Latest Workout: 5f bullet in :59.70 (1/31) at Palm Meadows on 1-5. Comments: Won his first two races including the G2 Nashua. Just missed in a strange renewal of the Remsen and is wintering in Florida. The G2 Holy Bull at Gulfstream on 1-25 is next. Latest Workout: 5f in 1:01.60 (25/78) at Fair Grounds on 1-5. Comments: Debut stalk and pounce tally at Churchill Downs Nov. 30. Found his best stride late in a good looking entry level route win at Fair Grounds 12-27. The promising colt is headed to the G3 Lecomte Stakes on 1-18. Latest Workout: 5f bullet in :58.60 (1/31) at Fair Grounds on 1-3. Comments: Clearly second best to Havana in his 8-23 debut (94 BSF) at the Spa and rolled by 5-1/4 lengths at 6f under the Twin Spires on 9-13. He never appeared comfortable on synthetic footing and was not persevered with in 11th place Breeders’ Futurity effort. Entered in a 6f allowance event (race 8) at Fair Grounds on 1-11. Latest Workout: 6f in 1:12.80 (7/28) at Santa Anita on Jan. 5. Comments: Finished 2nd in his first two sprint starts as the beaten favorite at Del Mar & Santa Anita. He stretched out at the Great Race Place on 10-31 and romped by almost 7-lengths after battling on the pace under Rafael Bejarano. Sadler skipping the CashCall Futurity because of the all-weather surface and he has a fresh horse for the Grade III Sham Stakes at one mile (Santa Anita) on Jan. 11. Latest Workout: Breezed 5f in 1:01 (9/39) at Fair Grounds on Jan. 6. Comments: Finished a good 2nd to Chad Brown’s Coup de Grace in his 6f Big A debut on Nov. 9. He torched six rivals at Fair Grounds (six furlongs) second time out on Dec. 19 and should get better as distances increase. Stall is looking for an allowance spot. Latest Workout: 4f in :49.75 (26/49) at Palm Meadows on 1-5. Comments: Ran his record to 2-for-2 with a professional one mile allowance tally at Gulfstream Park on 12-15. The G2 Holy Bull Stakes might be next. Comments: 3rd behind Honor Code and Misconnect in Aug. 31 Saratoga debut and raced green that day. He overcame adversity to earn diploma at Churchill Downs (one mile) on Sept. 28. Never got involved in allowance route at Churchill on Nov. 9 and finished an okay 4th in an entry level allowance route at Fair Grounds Dec. 27. Put up or shut up time has arrived! Kristo’s sire Distorted Humor (Forty Niner – Danzig’s Beauty, by Danzig) banked more than $769k in his career, winning such races as the G3 Salvator Mile, G2 Commonwealth, and G3 Ack Ack. He currently stands at WinStar Farm in Versailles, Kentucky for a stud fee of $100k. He has sired 119 stakes winners including Kentucky Derby/Preakness winner Funny Cide, Belmont Stakes/BC Classic hero Drosselmeyer, Travers hero and BC Classic runner-up Flower Alley (sire of Derby winner I’ll Have Another), 2-time G1 Whitney hero Commentator, and G1 Haskell winner Any Given Saturday. Distorted Humor’s sire Forty Niner (by Mr. Prospector) was the 1987 Juvenile Champion. The ’88 Kentucky Derby runner-up won multiple stakes races as a 3YO including the G1 Travers and G1 Haskell. He was North American’s leading freshman sire in 1992 and sired ‘96 Belmont Stakes winner Editor’s Note. The sire of sires was whisked away to Japan in 1995 for a cool $10 million and was pensioned in 2007. Forty Niner’s late, great sire Mr. Prospector (by Raise a Native) won 7 of 14 starts including the Whirlaway and Gravesend Handicaps in 1974. Legendary “Sire of sires” Mr. Prospector is one of the most influential horses in the history of thoroughbred racing, siring 181 stakes winners (47 Grade 1 or Group I winners) and 16 champions. Distorted Humor’s dam Danzig’s Beauty won the G3 Gardenia and finished 2nd in the G1 Acorn. Danzig’s Beauty’s sire Danzig (by Northern Dancer) won all three career starts in New York. The influential stallion died in 2006 at age 29. He sired such prominent runners as Chief’s Crown (3rd ’85 Belmont Stakes), Stephan’s Odyssey (’85 Belmont Stakes runner-up), Danzig Connection (’86 Belmont Stakes winner), ’92 Preakness hero Pine Bluff, and Breeders’ Cup Mile winners Lure and War Chant. Kristo’s dam Capote’s Crown (Capote – Majesty’s Crown, by Magesterial) won 3 of 8 lifetime starts including a tally in the Queen of Song Stakes and a place finish in the G3 Tempted. Capote (Seattle Slew) won the Breeders’ Cup Juvenile and Norfolk Stakes in 1986. He sired more than 60 stakes winners including 2YO champ Boston Harbor. Capote’s Crown’s dam Majesty’s Crown was an 8-time winner in Maryland. 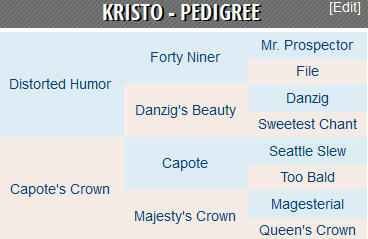 Kristo has an intriguing blend of speed on the bottom and stamina on the top of his pedigree. He has already passed his first two turn test so the G3 Sham is easily within reach. Energy distribution is the key to success in longer events and it will be interesting to see how he progresses this winter and beyond. My Kentucky Derby 2013 selection Revolutionary returns to action in the second race at Gulfstream Park on Saturday, Jan. 11. He will break from post 1 as the 7-5 morning line favorite in the flat mile optional claiming affair. Saturday’s rider Javier Castellano has booted him home twice. Revolutionary lost his first three career starts as the favorite before springing to life with a maiden win and a visually impressive tally in the G3 Withers on the inner dirt at Aqueduct last winter. 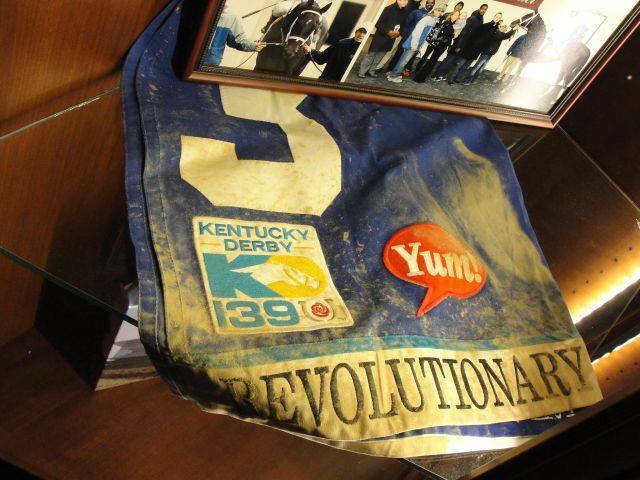 He punched his Kentucky Derby ticket with a late running tally in the G2 Louisiana Derby and rallied for the show five weeks later on the first Saturday in May. The Todd Pletcher trainee figured to have a big say in the G1 Belmont Stakes but was shelved after a flat 5th place effort. 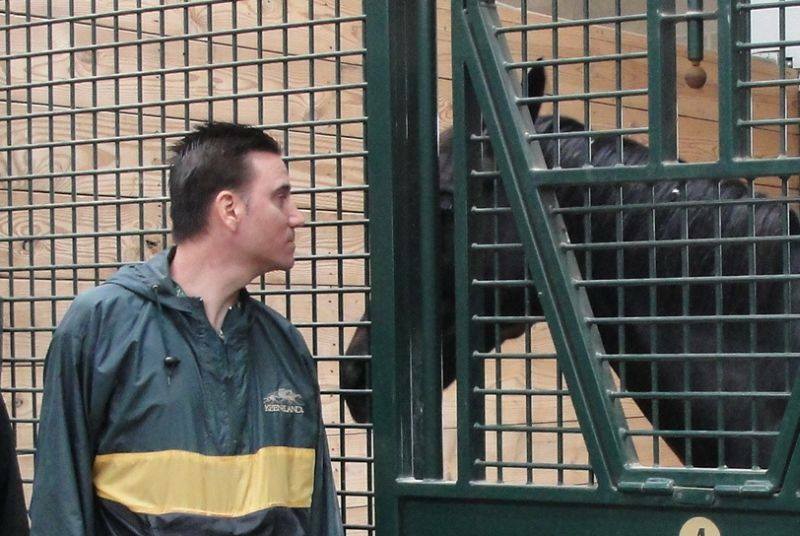 I visited Revolutionary at WinStar Farm in the fall and he looked the picture of health. He shipped to Florida this winter, shows eight published workouts at Palm Meadows Training Center since Nov. 19, and appears primed for a large 4-year-old campaign. Hopefully, he returns a more mature horse, and, if all goes well tomorrow, he will move on to the G1 Donn Handicap on Feb. 9. Some other horses that I saw during my WinStar visit have also returned to the worktab recently, including Queenie’s Song (3f turf in :40.05 at Palm Meadows on 1-8), Flirtatious (3f bullet in :36 at Fair Grounds on 1-6), Normandy Invasion (4f in :50 at Palm Meadows on 1-5), and Alakazan Alakazan (4f gate bullet in :47.40 at Palm Meadows on 1-4). I will continue to follow the horses that I saw at WinStar and post updates as the make it to the entry box. My newest Kentucky Derby 2014 contender Gold Hawk ran his record to a perfect 2-for-2 with a good looking, late striding 3-1/2 length score in an entry level route at Fair Grounds Dec. 27. A $450k purchase trained by Steve Asmussen, Gold Hawk owns a promising route pedigree and has plenty of upside. Look for him to join the sophomore stakes ranks in New Orleans next year. Purple Sky had every chance in the stretch and ended up a respectable 4th, 3/4ths and a head shy of the place. That’s back-to-back disappointments around two turns and his stock continues to drop. Bob Baffert’s Breeders’ Cup Juvenile winner New Year’s Day has suffered a non-displaced chip on the left hind sesamoid and has been retired.Click on the names of each horse below (Top 5) to view their Horse Racing Nation profile page, which includes pedigree information, results, and video. Latest Workout: 5f in 1:02.20 (47/52) at Santa Anita Park on 12-28. Comments: Cruised in his 10-19 Golden Gate debut (84 BSF) and crushed four rivals in the G3 Hollywood Prevue (99 BSF) on 11-10. The exciting gelding thoroughly dominated the G1 CashCall Futurity (106 BSF) on 12-14, his first start around two turns. He could make two, possibly three starts on the Derby trail at Santa Anita next year, culminating with the G1 SA Derby on April 5. Comments: Made up more than 20-lengths in his career debut (Saratoga slop) to score by 4-1/2 lengths at 7f on 8-31 (89 BSF). He rallied to miss by a neck in the G1 Champagne on 10-5. McGaughey’s plan to skip the G1 BC Juvenile in favor of the G2 Remsen worked out well. He is wintering in Florida. Comments: Went wire-to-wire in his Saratoga debut on 8-23 and earned a 102 BSF. Put away Debt Ceiling and Grand Arrival early, and held off Honor Code by a nose in the G1 Champagne (93 BSF) at Belmont on 10-5. Stalked and pounced from post 13 in BC Juvenile but could not hold off New Year’s Day. Latest Workout: 4f in :47.60 (3/17) at Oaklawn Park on 12-26. Comments: Finished 5th in his 7-22 Saratoga bow. He graduated by 4-1/2 lengths at 6.5f at the Spa on 8-17 and cruised by 9-3/4 in the G1 Hopeful at 7f (mud, sealed) on 9-2 (85 BSF). He never got untracked in 7th place Champagne puzzler. He shot to the front from post 14 and finished an improved 3rd in the BC Juvenile. Latest Workout: 3f breeze in :36 (2/5) at Palm Meadows on 12-27. Comments: Distant 3rd in his 7-22 Saratoga debut (Strong Mandate 5th). Romped by 6-1/4 lengths as the 3-2 favorite at that same venue at 7f second time out on 8-31 (sloppy, sealed). Attended pace and retreated to 8th in Champagne and finished a wide 7th of 12 from post 10 in the G2 Nashua. He is entered in the GP Derby at the Gulf on Jan. 1. Latest Workout: 4f breeze in :51.90 (45/48) at Palm Meadows on 12-31. Comments: Won his first two races including the G2 Nashua. Just missed in a strange renewal of the Remsen and is wintering in Florida. Comments: Debut stalk and pounce tally at Churchill Downs Nov. 30. Found his best stride late in a good looking entry level route win at Fair Grounds 12-27. The promising colt is headed to the 3YO stakes ranks in New Orleans. Latest Workout: 4f breezed in :49 (6/70) at Fair Grounds on 12-16. Comments: Clearly second best to Havana in his 8-23 debut (94 BSF) at the Spa and rolled by 5-1/4 lengths at 6f under the Twin Spires on 9-13. He never appeared comfortable on synthetic footing and was not persevered with in 11th place Breeders’ Futurity effort. Comments: Battled on the pace throughout and was 2nd best to Honor Code in his 8-31 debut at the Spa. He graduated by a length at Belmont on 9-28 (85 BSF). Comments: 3rd behind Honor Code and Misconnect in Aug. 31 Saratoga debut and raced green that day. He overcame adversity to earn diploma at Churchill Downs (one mile) on Sept. 28. Never got involved in allowance route at Churchill on Nov. 9 and finished a conpetitive 4th in an entry level allowance route at Fair Grounds Dec. 27. Trainer: David Hofmans – Owner: Amerman Racing LLC. Gold Hawk’s sire Empire Maker (Unbridled – Toussaud, by El Gran Senor) was my Derby horse in 2003 and he ended up 2nd on the first Saturday in May that year. He turned the tables on Funny Cide in the Belmont Stakes five weeks late. 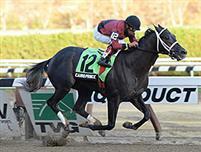 Empire Maker has sired U.S. champion, Royal Delta, and Kentucky Derby runner-ups Bodemeister and Pioneerof the Nile. He was exported to Japan in 2010. Empire Maker’s sire Unbridled won the Kentucky Derby and Breeders’ Cup Classic in 1990 and sired 1996 Derby hero Grindstone and 2000 Preakness winner Red Bullet. Empire Maker’s late, great Grade I winning dam Toussaud also tossed Grade I winners Chester House, Honest Lady, Chiselling, and Grade II Decarchy. Gold Hawk’s dam Caressing (Honour and Glory – Lovin Touch, by Majestic Prince) won the Breeders’ Cup Juvenile Fillies in 2000. Her sire Honour and Glory (Relaunch) won multiple stakes races including the G1 Breeders’ Futurity, G1 Met Mile, G2 San Rafael, and G2 King’s Bishop. Gold Hawk should get dam-side stamina from Lovin Touch and Majestic Prince. Lovin Touch won the G3 Selene and landed the place in the Black-Eyed Susan Stakes. Majestic Prince captured the Kentucky Derby and Preakness in 1969. Gold Hawk has the stride and running style of a true router, and his pedigree suggests that he should excel in longer events. Look for him to do some damage in upcoming Fair Grounds stakes races.